Lenders are individuals or more commonly institutions that loan out money. The person who receives this money is a borrower. A number of different kinds of lending organizations exist. These include commercial, mutual organizations, educational, hard money, and lenders of last resort. 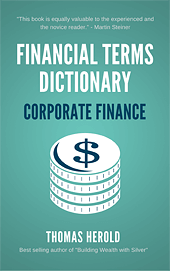 Commercial lenders are the most common of the traditional lenders. Commercial types are usually banks. Another kind of commercial lender would be a private financial organization. Commercial lenders provide offers on their loans to their borrowers at a set rate of loan terms. Such terms include time frame of the loan and the interest rate. Their goal is to make as much money as possible relative to the chances of the borrower not repaying the loan. Mutual organizations are another type of lender. They are composed of members of the mutual who cooperate together to loan money to the membership. The members pool their money into the organization. From there it is loaned out to the members who need to borrow money. They do this with favorable terms and at advantageous rates. Mutual organizations are not driven to make profits. This allows them to offer lower interest rates on the loans they make and higher interest rates on the deposits they take. Among these mutual groups are community based credit unions. Friendly Societies are another example of them. Educational lenders provide loans to individuals who are looking to further their education at an institution of higher learning like a college or university. They offer borrowers subsidized or unsubsidized loans. When the loans are subsidized, the Federal Government guarantees the loans and ensures that the lender provides a low and often fixed interest rate. Hard money lenders make special types of loans that are short term. These are loans principally secured by real estate collateral. The downside to this kind of a lender is that they often provide higher interest rates than a traditional commercial bank. The tradeoff is that they will often take on a larger variety of deals. Typically these hard money lenders give terms that are more flexible to their borrowers. Some states have stricter laws on interest rates that may be charged than does the Federal government. 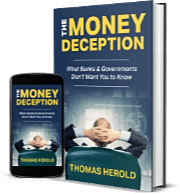 This forces hard money lenders to operate under different rules and with lower interest rates when they are in conflict with usury laws in give states. Many times these loans that lenders make to individuals become brokered loans. In such cases, third parties consider the borrower’s case then send the loan request out to a variety of lenders. This is often done over the Internet. They pick these different lenders because of their chance of approving the borrower in question. 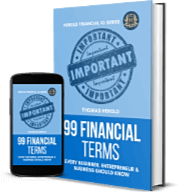 Sometimes the terms can be improved by one or more of these competing lenders in order to win over the borrower’s business. Lenders of last resort are an interesting final category. They are often governmental organizations whose goal is to save national economies and important banks from failure. These types of organizations loan money out to too big to fail banks which are close to collapse. They do this to safeguard the bank’s depositors and to prevent panic from pushing the nation’s economy into a downward spiral. Lenders of last resort can also be private organizations that make loans to individuals. These groups loan out money to borrowers who present great risks of default or who have extremely low credit scores. Interest rates with these lenders are substantially higher than with traditional lenders. They charge these rates in order to make up for the losses they suffer from their borrower’s greater default rates. Such lenders that charge even higher rates are sometimes known as loan sharks. The term 'Lender' is included in the Banking edition of the Financial Dictionary. You can get your copy on amazon in Kindle or Paperback version. See more details here.